For in-store inquiries, use sku #2131411. 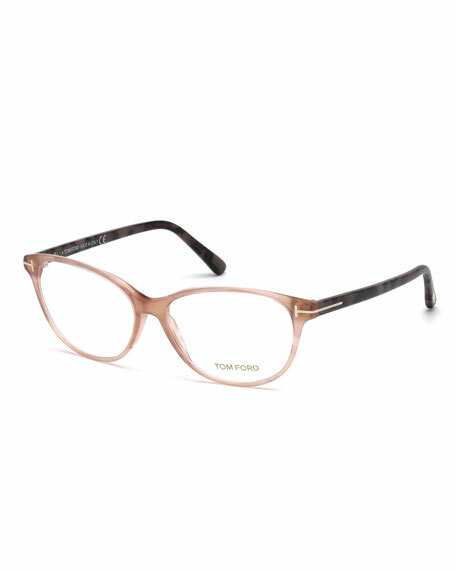 The Book Club "The Dutiful and The Scammed" cat-eye optical frames. Clear, non-optical demo lenses (replacement recommended). 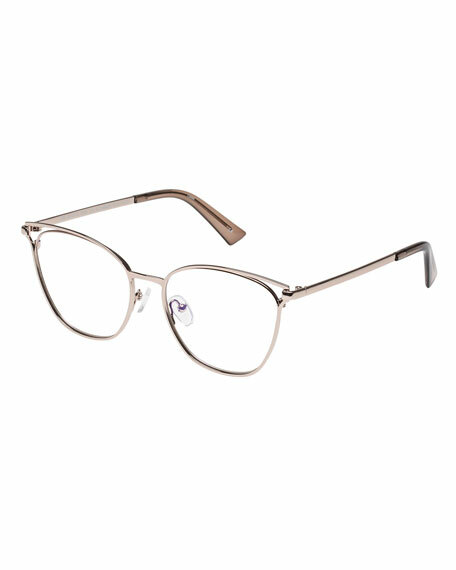 Peaked frame fronts with cutout detail. Metal frames with plastic trim. Capped earpieces. Imported. 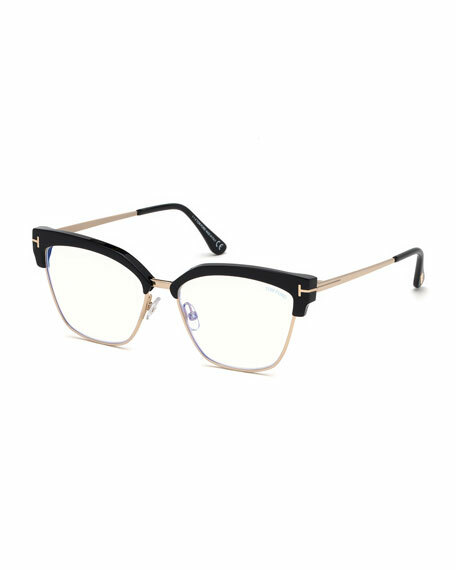 TOM FORD cat-eye optical frames in acetate and metal. Lens/bridge/temple (in mm): 54-15-140. Clear, non-optical demo lenses (replacement recommended). Adjustable nose pads. Signature "T" at temples. 100% UVA/UVB protection. Made in Italy.